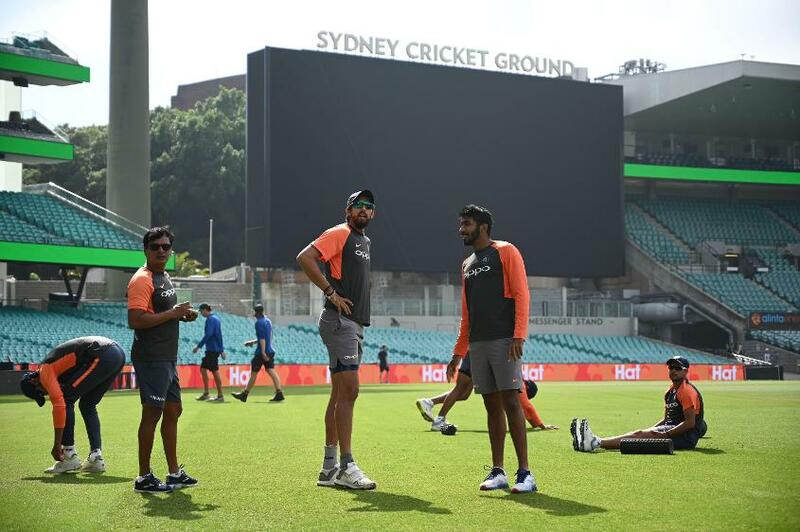 Ravichandran Ashwin, the India off-spinner, was named in the team's 13-member squad for the final Test against Australia in Sydney despite concerns about his fitness. On the eve of the Sydney game, which starts on Thursday, 3 January, he wasn't cleared as being fully fit, but the Board of Control for Cricket in India said a final decision on his availability would be taken on the morning of the match. At his press conference earlier on Wednesday, Virat Kohli, the India captain, had suggested Ashwin won't be playing the Test and both team and player were "disappointed". "It's unfortunate that he's had two niggles that are similar in the last couple of away tours," he said. "The physio and trainer have spoken to him in terms of what's required in order to get over that injury." Stressing on Ashwin's importance in the Test side, Kohli added, "In Test cricket he's vital part of the team and we want him to be 100% percent fit and for a longer period so that he can contribute more to us in the Test format. "He's very disappointed with the fact that he's not able to recover in time but the things have been laid out to him about what needs to be done to get back to full fitness. Honestly, you can't really predict an injury, you can only manage it. And he's doing what he can to get over that injury." "The fact that Vihari has bowled beautifully whenever we've given him the ball makes us absolutely calm about Ashwin not getting to play," said the captain. "If you see the way Vihari has bowled, he's looked like picking up a wicket whenever he comes to bowl. He's pitching the ball in the right areas and we are looking at him as a solid bowling option."